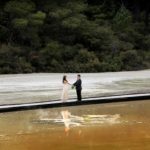 Wedding packages New Zealand – If you are thinking of eloping, choose New Zealand! And why not? New Zealand simply has it all! 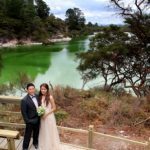 Complete with spectacular landscapes there truly is no better location to elope in than New Zealand. 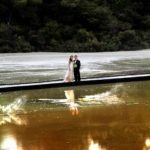 Our wedding packages New Zealand use quality suppliers, which means you get the best people with you on your day. 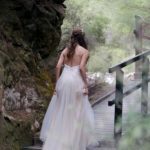 We offer a huge variety of options from beach weddings to alpine weddings, all of which have stunning views and world class venues. New Zealand is a beautiful country, easy to get around and perfect to marry or holiday at. It’s also relatively inexpensive with a very competitive exchange rate for overseas couples. Best of all, we don’t discriminate so you can get married no matter who you love. 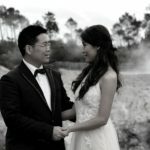 Our team think “love is just love” here in New Zealand so gay or straight, we can put together the perfect day for you. 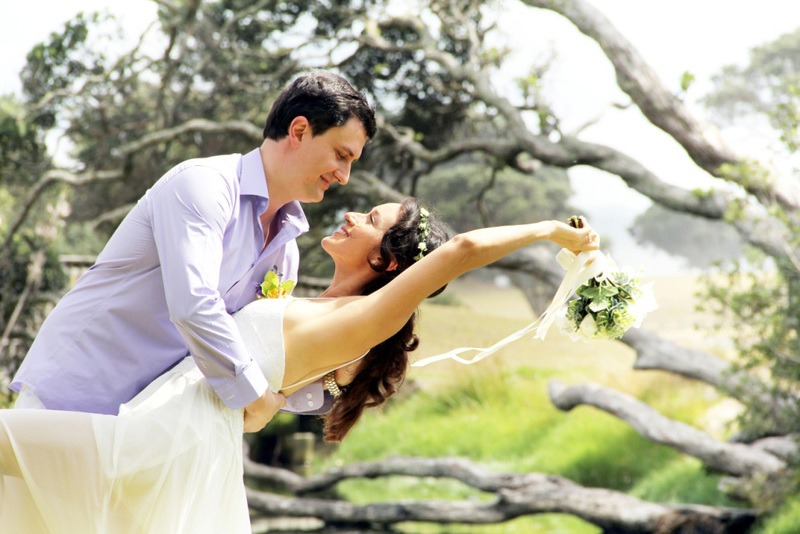 Nuance Photography and Videography specialize in wedding packages New Zealand and videography throughout New Zealand. NVP concentrates their work in the top areas of the country such as Tauranga, Queenstown, Waiheke, Auckland, Rotorua, Cathedral Cove, Hot Water Beach and Hahei. 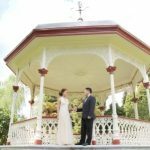 *Payments are non refundable and are based on weekday weddings, non statutory days or long weekends. Bookings are also subject to availability for all vendors. 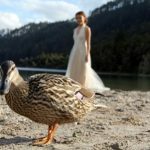 This fantastic little package includes NZ registered marriage celebrant, photography and bubbles to celebrate plus all the infomation leading up to the day from locations to marriage licence to ensure a perfect New Zealand elopment. 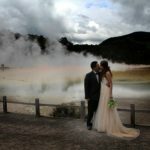 If you are wanting a no frills but perfectly located wedding on the top of a mountain with the best photo opportunities, a highly experienced photographer, NZ registered marriage celebrant, bubbles to celebrate and all the help with your marriage licence and details leading up to your day look no further. This package is for you. Travelling to beautiful destinations like Rarotonga, Fiji, Tahiti, Bora Bora, Moorea, Vanuatu and New Caledonia. 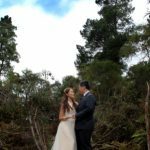 Being full time professional photographers and videographers, you can know your wedding is in capable and creative hands. 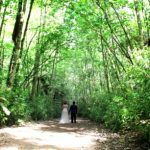 Our team can create your perfect eloping wedding throughout the islands of Rarotonga, Fiji, Tahiti, Samoa, Vanuatu, Bora Bora and Moorea. We photograph in these amazing destinations regularly so we know our way round. Including the best venues, accommodation and photo opportunities to maximize your imagery. Imagine beginning your married life together with family and close friends in the most beautiful places on earth. The islands of the South Pacific, with their golden sands, turquoise waters truly make for a beautiful eloping wedding. 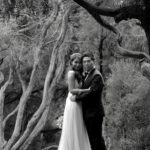 Our elopements are romantic and relaxed and this shows in your pictures. Not to mention you generally look and feel your very best. Meaning you can focus on enjoying what is the most important day of your life. 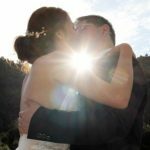 Having no affiliation to local resorts and local wedding planners, you get detailed attention and independent unbiased advice. No ‘island time’ mentality with us, which is prolific in the Pacific. You have our full attention with no language barriers. We have your best interest at heart and you deal with us right throughout the whole process. The images you have dreamed of are discussed in detail and there are no hidden surprises. 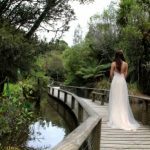 Let us plan the perfect day for your New Zealand pre wedding photo tour. We have become famous for our tours with our Asian clients. Especially so with our Chinese clients. 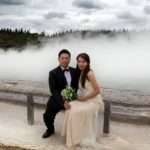 They love our style and ability to capture New Zealand’s natural beauty in their pictures. 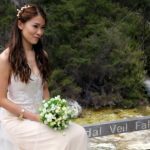 Working closely with experienced hair and make up artists, they are familiar with the ‘look’ our Asian and European clients expect. 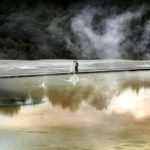 We also have great local knowledge of top New Zealand photo opportunities throughout the country. 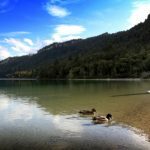 Whether it be guided tours in Rotorua’s thermal wonderland or heli-flights to the top of picturesque snow peaks in Queenstown. Or be it water taxis to Cathedral Cove’s famous Cave, we can arrange everything. 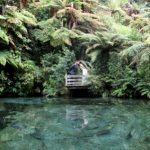 Having contacts within New Zealand for accommodation and adventures, it means that everything is taken care of for you. 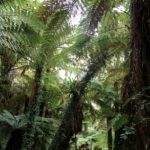 Any adventure tours, accommodation or activities you want to add to your itinerary we can arrange for you. When you arrive everything is done and you can relax, ready for amazing pictures. 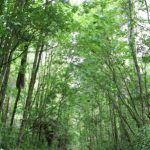 Having a natural edge to our photos, we like to keep in with New Zealand’s natural beauty. With the benefits of professional post production to complete your imagery ready for your big wedding day. 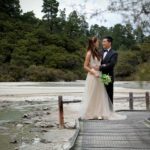 Looking forward to hearing from you and your ideas for an amazing pre wedding photo tour in New Zealand. Contact us oninfo@nuancephotography.co.nz.